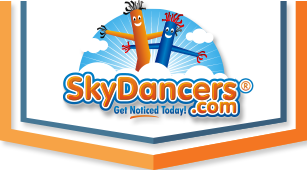 The 10ft Green Sky Dancer attachment is the 10ft inflatable advertising product from Skydancers.com that will give more color and attraction to your business or event. Whether you need a boost in foot traffic or sales numbers, the bright green color, friendly face, waving arms, and dancing body will be sure to impact all that pass by. This green colored Sky Dancer will help you stand apart from your neighbors on the block. Combine with the required SkyDancers.com 12" blower and be ready to create higher revenue and attract more traffic within minutes! Very pleased with our 10ft green guy. Service was great and arrived really fast. I will be placing more orders in the future.